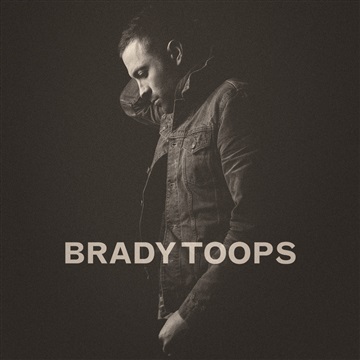 Blending americana, folk, and soul, Brady Toops offers a unique and distinct sound in the Singer/Songwriter world. His latest LP "Tried & True" debuted at #22 on the Billboard Heatseeker and Folk/Americana Charts. Critical acclaim has also praised Toops'. Paste Magazine recently named him as one "to watch out for in 2017", and about the new record said, "'Tried & True' isn't happy and isn't sad; it's an emotional evolution of a man filled with humility and in love with life." 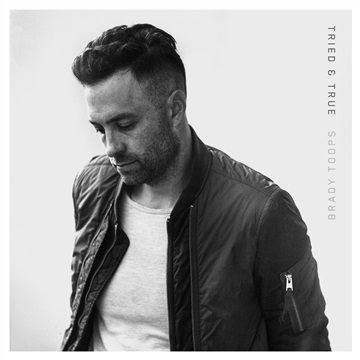 The Revue wrote, "Brady's vocals are strong, yet vulnerably authentic..." In another review, "The 'Tried & True' LP carries a deep emotional resonance." [-EmergingIndieBands.com]With over 2 million spins on Spotify and extensive U.S. touring in the last few years, Toops has garnered national acclaim sharing festival stages alongside NEEDTOBREATHE and Switchfoot, as well as opening for the likes of Drew Holcomb, Ben Rector, and John Mark McMillan. Originally from New London, a small Minnesota town, Toops spent the majority of his early years running around on diamonds and athletic fields. After playing baseball at the University of Arkansas, as well as making a brief stint in Minor League Baseball with the St. Louis Cardinals, he left the world of athletics in 2006 to pursue music. A few years later, Toops moved to Nashville, TN, and released his debut self-titled album in 2013. Showcasing a modern yet timeworn songwriting approach and rustic baritone voice, Toops has turned new listeners into dedicated fans across the globe. RELEVANT Magazine even named him "one of our favorite new artists." Taking a slight hiatus from touring in 2015, Brady appeared on Season 11 of ABC's hit reality TV show "The Bachelorette". Fresh off a highly adventurous summer with a surplus of emotions and newfound experiences, Toops took the inspiration and disappeared into the studio to write and record 10 new songs. The record that ensued is Toops' boldest and most honest record to date showcasing a rootsy, soulful sound that builds off his previous work. "Tried & True" released March 11th, 2017, and is available in digital retailers and streaming worldwide.